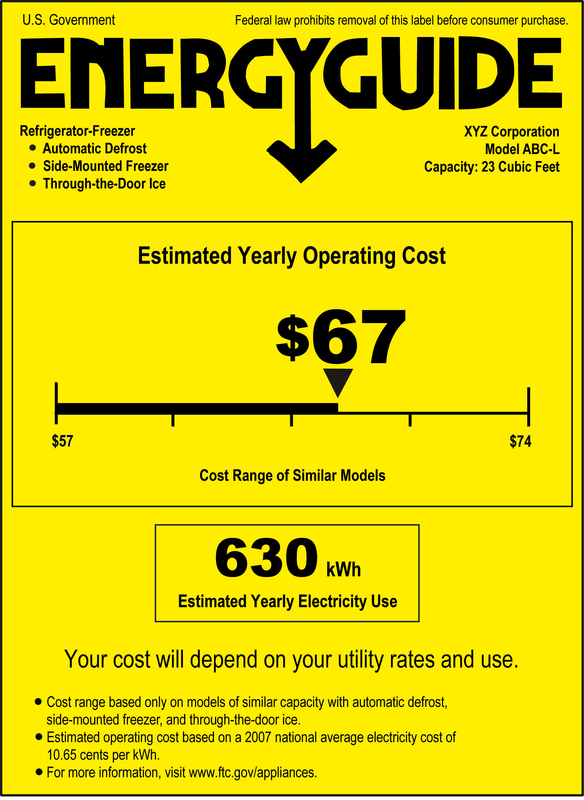 The familiar yellow-and-black EnergyGuide labels help consumers comparison shop for energy-efficient appliances, lighting, and plumbing products by providing an estimate of the products’ energy consumption or energy efficiency. Manufacturers of most major home appliances are required to attach the labels to their products under the FTC’s Appliance Labeling Rule. The labels show the highest and lowest energy consumption or efficiency estimates of similar appliance models. The Rule also requires energy disclosures for certain lighting products and water use labeling for certain plumbing products. In 2010, the FTC announced that it will begin requiring EnergyGuide labels for televisions, and that light bulb marketers will be required to provide new information on labels that appear on product packaging.